Need some beauty consultation? 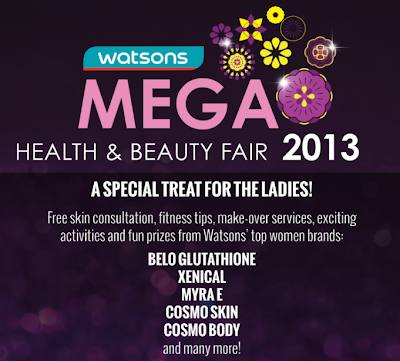 Then avail of this special treat for the ladies brought to us by Watsons. 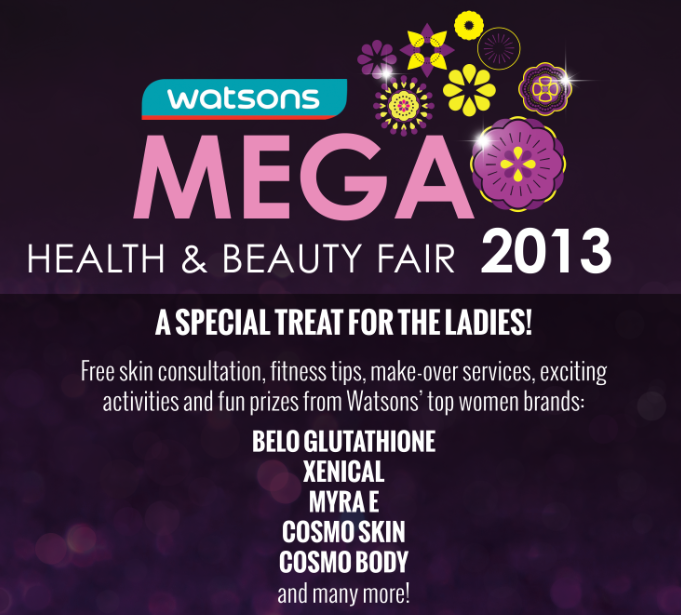 Watsons Mega Health and Beauty Fair 2013 will be at SM megamall L/G Mega A Event Center until March 12, 2013. Get free beauty tip and secrets from the experts. Fun prizes also awaits lucky ladies. See you there!